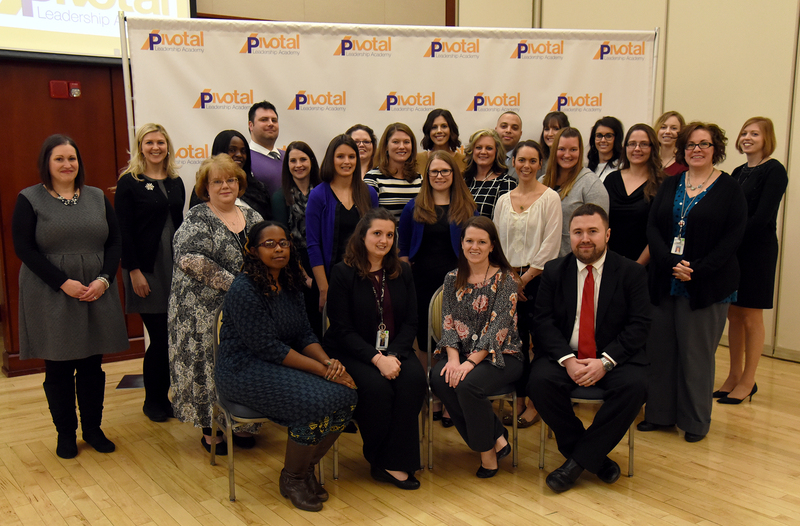 WVU Medicine’s Pivotal Leadership Academy (PLA) celebrated its third class of graduates with a ceremony and a reception Dec. 12 at WVU’s Erickson Alumni Center. A total of 24 WVU Medicine employees participated in the course. Each participant had to apply to the program and meet a list of personal and professional criteria, which includes a one-year commitment to remain with the organization upon completion of the course work. PLA was created to develop emerging leaders at WVU Medicine by exposing them to leadership concepts and skills and helping them gain confidence to apply what they’ve learned. Facilitated by the Center for Education and Organizational Development, the PLA helps high-performing employees develop the skills, knowledge, and confidence to become a future leader within the organization. The program broadens participants' leadership skills and strengthen their capacity to lead, while helping them establish a path for success.